This fragrant and flavorful Thai Instant Pot Massaman Curry recipe has creamy coconut, tender beef, potatoes and crunchy peanuts that combine to make this a highly satisfying dish that can be put together quickly for a delicious weeknight meal. Have I already mentioned how much I love Thai food? I especially love Thai coconut curries! One of my favorite Thai curries is Massaman (pronounced muss-uh-maan) curry, which is a mild curry and doesn’t taste as spicy as a red, green , panang or yellow curry. 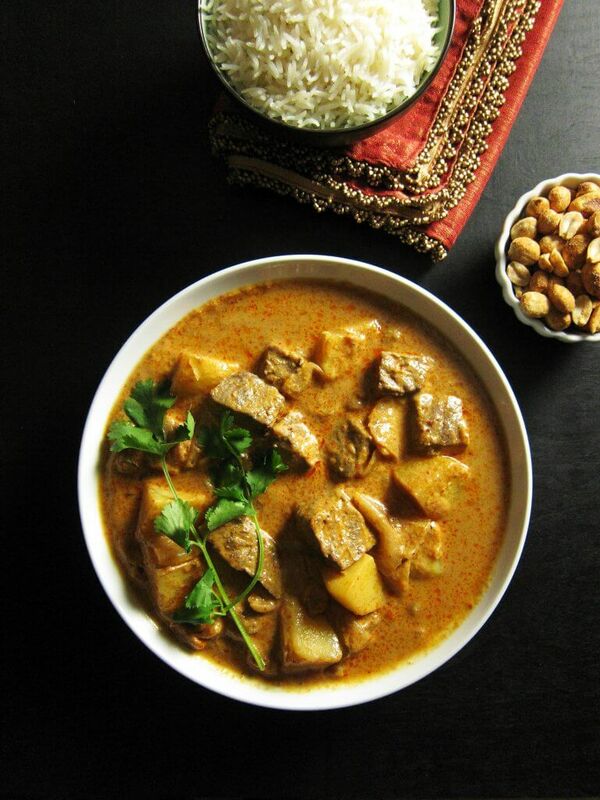 Massaman curry is typically made with beef or chicken in Thai restaurants. The taste of Thai massaman curry reminds me so much of Indian coconut-based curries because the massaman curry paste has cumin, coriander and some of the essential ingredients of the Indian spice garam masala: cardamom, cinnamon, cloves. Thai massaman curry is said to have come to Thailand from Persia, which is also how many North Indian curries came to India. Thai massaman curry is also known as Muslim Curry because it originated in the Muslim communities of Thailand. But Massaman Curry is Thai through and through, due to the addition of quintessential Thai ingredients in the massaman curry paste (galangal ginger, lime leaves, lemongrass). 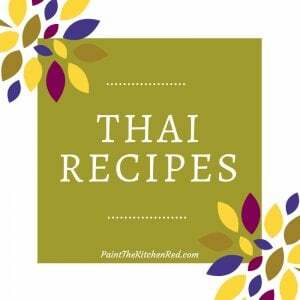 When I posted my Instant Pot Thai Red Curry with Chicken recipe, I got a few messages/comments about fish sauce. Raw fish sauce, yes, can smell fishy. But when you put it in a dish, the fish taste and smell go away, and I believe it’s essential to Thai curries. There is no substitute. If you want Thai dishes like you get in your favorite Thai restaurant, you should use fish sauce. In a pinch – and I’m not saying it’ll be the same – you can use soy sauce. My other Thai curry recipes are as delicious as this Massaman curry recipe, but they all have different flavors. And of course, you’ve got to serve this Thai Instant Pot Massaman Curry with Instant Pot Jasmine Rice – oh my, so satisfying and good! This recipe requires tamarind paste, which is easy to make from slabs of tamarind pulp that you can find at East Asian or South Asian stores. 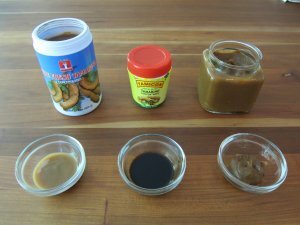 This is my Instant Pot Tamarind Paste recipe (try and make it ahead of time). Tamarind paste adds tartness to dishes. If you use a purchased tamarind paste, the quantity required varies. If using Indian tamarind paste like Tamicon, you should start out with a smaller quantity (about 1 teaspoon mixed with some hot water) and taste at the end before you add more. If using this Thai tamarind concentrate, you might need to use more than the Massaman curry recipe suggests. The first time you make the dish, be on the safe side and add one tablespoon to start with, and adjust at the end. If you don’t want to use tamarind at all, you can substitute lime juice. For the Thai massaman curry paste, there are two brands that I like: Maesri and Mae Ploy. 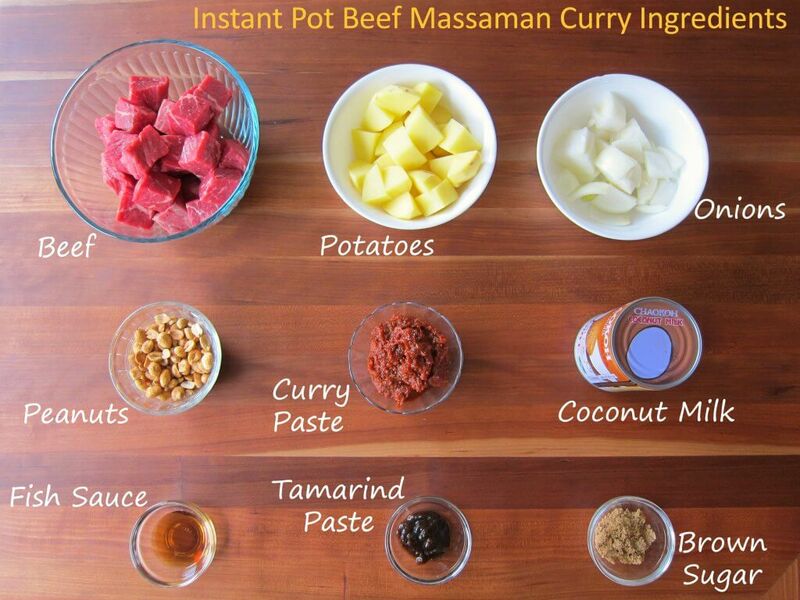 I use Maesri because I use the whole can for the massaman curry recipe. No leftover curry paste to store in the fridge. Thai massaman curry is not a spicy dish, so people who don’t like spicy foods will probably be okay with using a whole can of Thai massaman curry paste. If you’re concerned about spice, reduce the quantity of massaman curry paste. If you use Mae Ploy brand of massaman curry paste, you might need to go easy on the fish sauce because it’s saltier than the Maesri brand and fish sauce is salty too. For the fish sauce, I like the quality of Red Boat fish sauce. You can find it at Asian grocery stores. But it is more expensive than other fish sauce brands. Tiparos is another brand of fish sauce I’ve used – it is more affordably priced. There’s no substitute for fish sauce. It adds that depth of flavor, the umami, to the curry. But if you’re vegetarian, I’ve had readers recommend the Fysh brand of sauce. But I haven’t tried it. You may need to add a little extra. For the coconut milk, try and use regular fat and not the light variety because there’s a definite taste difference! I really like the brands Aroy-D and Chaokoh. If you prefer a thicker gravy, you can omit the water. The brands of coconut milk I use are thick, so the water doesn’t make the curry too thin, for my tastes. I use beef stew meat or London broil and the cooking time I’ve provided is just right. If you use a different cut of beef, you may need to adjust the cooking time. The potatoes come out well done if using the 5-minute pressure cook time. If you would like them to be more firm, you can reduce the pressure cook time to 3 minutes. 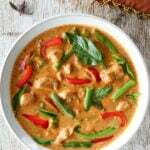 You can also substitute the beef with chicken to make it a Thai Chicken Massaman Curry recipe. You’ll need to adjust the cooking time, of course. If using boneless skinless bite-size pieces, pressure cook for 4 minutes. You can cook the chicken, potatoes and remaining ingredients altogether. 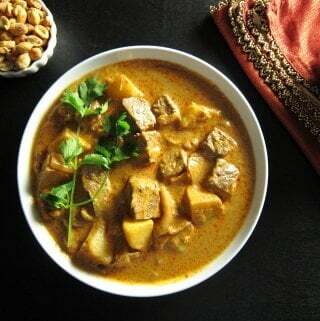 and aren’t familiar with how to use it, please read the Instant Pot DUO Beginner’s Quick Start Guide or the Instant Pot ULTRA Beginner’s Quick Start Guide first and then come back here to learn how to make this Instant Pot Massaman Curry with Beef. * Use a splatter screen if necessary, to guard against splatters from the coconut milk. Press ‘Cancel’ to turn off Instant Pot. Stir in beef, remaining coconut milk, water, tamarind paste, fish sauce, and brown sugar. Press ‘Manual’ (or ‘Pressure Cook’) and ‘+’ or ‘-‘ until display reads ‘15’ (15 minutes). The display will count down from 15 to 0; it will then switch to ‘Keep Warm’ mode and display ‘L0:00’. Do a quick release: to open the Instant Pot, first move the steam release handle to ‘Venting’. I like to place a folded towel over the steam release handle and move it to the venting position. Remove the towel after turning the handle. Note: you can let the pressure drop naturally by waiting for the float valve to go down on its own. This can take 15 to 30 minutes. Stir in potatoes, onions, and roasted peanuts. Press ‘Manual’ (or ‘Pressure Cook’) and ‘+’ or ‘-‘ until display reads ‘5’ (5 minutes). The display will count down from 5 to 0; it will then switch to ‘Keep Warm’ mode and display ‘L0:00’. Do a quick release again: to open the Instant Pot, first move the steam release handle to ‘Venting’. If using a towel to turn the handle, remove the towel after turning the handle. Taste and adjust seasonings as required. Stir Instant Pot Massaman Curry and serve with Instant Pot Jasmine Rice. Stir together massaman curry paste and 1/2 can of coconut milk and cook in 'Saute' mode until mixture is bubbly, about two minutes. Press ‘Cancel’ to turn off Instant Pot. Stir in beef, remaining coconut milk, water, tamarind paste, fish sauce, and brown sugar. Close Instant Pot and cook on 'Manual' (or 'Pressure Cook') mode for 15 minutes. Do a quick release of pressure (You can also choose to do a natural release). Open Instant Pot and stir in potatoes, onions, and peanuts. Close Instant Pot and cook on 'Manual' (or 'Pressure Cook') mode for 5 minutes. Carefully stir Instant Pot Thai Beef Massaman Curry. Transfer Instant Pot Beef Massaman Curry to a serving dish. Serve with Instant Pot Jasmine Rice. splatter screen if necessary, in the first step, to guard against coconut milk bubbling up. * I prefer to use Yukon Gold potatoes. Tamicon brand, start with 1 tsp; if using Thai tamarind concentrate, start with 1 Tbsp. Adjust for more at the end. I love massaman curry! Now I can make my own! Wow, I love all your detailed directions and photos. That really helps someone like me who doesn’t make a lot of Thai food. I love it but just not sure how to do it! Will have to try this one in my Instant Pot! Karen – you can do it! It’s really simple especially in the Instant Pot – easy cleanup, no babysitting the dish! What a delicious recipe. I love the step by step photos you do in your posts…I think I am going to break down and get an instantpot soon…this looks so good. You should get an Instant Pot – and join the cult 🙂 You’ll love it. This recipe looks delicious. What time should I be over for dinner 🙂 My neighbor makes a similar dish and we just love it. Saving this recipe so I can make it myself. Yum. Thanks Ali! Come on over, the more the merrier! I hope you get to try it out. it is hard to believe all the recipes in the instant pot can look so amazing and take such little time. You’re welcome – it’s a game changer in the kitchen! What a delicious addition to our meal rotation. It was delicious. Thanks. You’re so welcome – it’s great for when you don’t know what to make! Just need to pick up the beef and potatoes if you have the other ingredients in your pantry, like I always do. Really easy and delicious! Loved it. I had cashews on hand so used those instead of peanuts. Do you need to refrigerate the tamarind paste after opening? I got the Pure Fresh Tamarind paste from Amazon. Adri – I’m so glad you got to try it out. Interesting twist with the cashews. I do love cashews, might have to try that out. I would refrigerate the tamarind if you’re not going to use it up quickly, to be on the safe side. How would you adjust the time if using chicken instead of beef? We are new to the Instant Pot and love it so far. We made your red city last night and it was delicious. Hi there – thanks for your question. To substitute bite-size pieces of chicken, just add in potatoes, onions, and peanuts with the chicken in step 2 and cook for 5 minutes. 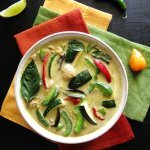 Thai Green Curry recipe coming up next week! Are there any brands of curry paste that do not have shrimp in them? My husband is allergic to shrimp and I love curry. Hi Katie, thanks for your question. The Mae Ploy container says that the product may contain traces of fish. The Maesri brand does not list shrimp as an ingredient. However it says “Processed in a facility that also processes peanuts, sesame and shrimp”. I don’t see that message on the Thai Kitchen, which is available at most grocery stores. It’s not my favorite brand, but it might work for you. I have also heard of Mae Anong brand, but have not used it. Looking at the package it says nothing about containing shrimp. You might also have some luck making the paste, but you’d have to get some specialty ingredients. Thanks for your request, I’ve put it on my calendar! Hardest thing is coming up with a substitute for fish sauce! Great stuff. What cooking time do you use for Chicken in the first phase? 4 minutes instead of 15 minutes for beef? Hi Webko – if you’re planning on using potatoes, I would add boneless chicken thigh bite-size pieces, potatoes, onions and peanuts at the same time and pressure cook for 4 minutes. Thanks for the comment! I understand the recipe is designed for an instant pot, but for those of us without one do you have any recommendation for how long to cook it? I plan to use tofu instead of beef, so that can just be fried and stirred in at the end, so I have no worries about times for cooking meat! Thanks for such a lovely recipe! 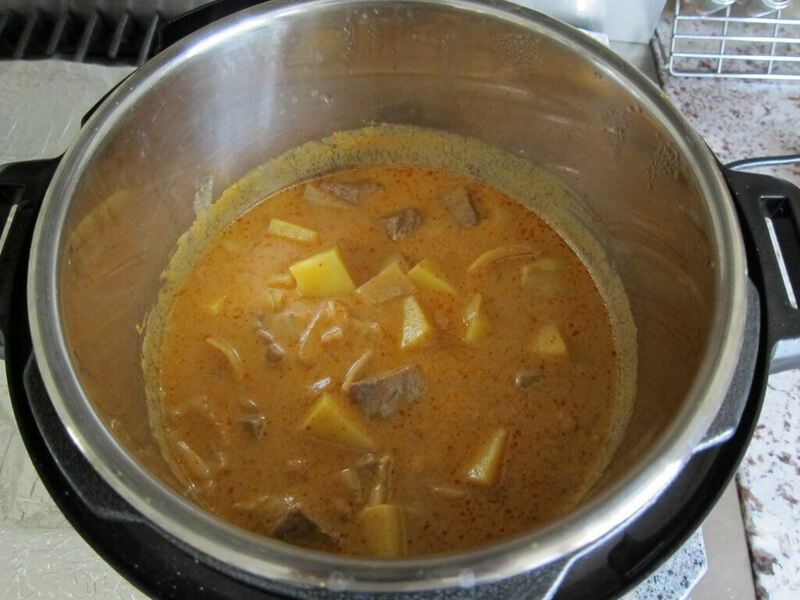 Hi Lorraine – since you’re not cooking beef, you can do the initial 1/2 can coconut milk and curry paste step as directed (until bubbly), add all remaining ingredients including potatoes, onions, etc. and cook till the potatoes are done. You can even omit the water for a creamier curry, since you don’t have to worry about pressure. You can either add the tofu in at the end or even with the potatoes. It’s so great to see that you’re adapting an Instant Pot recipe – thanks for visiting the blog! Thanks so much for the reply. I can’t wait to try it out, it sounds fab! Thanks for the recipe. It’s really tasty. I felt the consistency was a little thick compared to my local restaurant. Would you recommend adding a little more water to mix to solve this? Hi Jeff, I would just thin it with some broth after pressure cooking is complete, and just heat through on Saute mode. That way you can control the consistency. Glad you enjoyed it 🙂 Thanks for commenting! This is a wonderful recipe! I had massaman recently at a little Thai joint where they used the stew meat instead of the thin sliced beef that you find most places and your recipe almost perfectly replicated it! Unlike one of the previous commenters, I thought the sauce was a little thin. Instead of adding cornstarch of flour, I simply put a few of the potato chunks through my ricer and it was just what I felt it needed. Thanks for the recipe! Hi Justine – thank you for taking the time to comment. This is a great tip. I do this with my Instant Pot Indian chicken curry sometimes if I find it to be too thin. Thank you for commenting and for sharing. It’s great when readers share their modifications, very helpful to future readers! This looks great! Hope I can handle all the spice. It’s a pretty mild curry (for me, at least!) But you can just add more coconut milk if you find it too hot. We just tried this, it was actually the first meal we made with our new Instapot, and we used chicken instead of beef. We would have preferred a creamier curry, so my question is this: is the additional water added for a technical reason? Is it somehow necessary or important when using this cooking machine? Hi Jennifer, thanks for commenting. Some people have trouble with their Instant Pot sealing and require that extra 1/4 cup. I would suggest that you try it out without the water and see if you have any issues. Then if you find that you don’t need the water, you won’t need to add it to any of my Thai curry recipes. If you do need the extra liquid, you can also use broth. This was an amazing recipe, i could not believe how delicious the curry turned out, i tend to always put just a tab bit too much water in instant pot and land up having a watery gravy. i am still discovering the joys of using very little water while cooking in the instant pot. i was a bit concerned but it came out perfectly no more watery gravy for me. Dee, there is a learning curve initially, but I’m sure you’ll get the hang of it in no time. Thanks for taking the time to comment! Have you ever made this with chicken instead of beef? Molly, you can cook the chicken and potatoes together for 4 or 5 minutes. Hope you like it and thanks for your question. 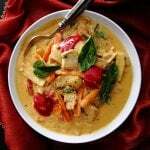 Excellent Massaman Curry recipe! Better than the stove top one I originally used. One of my favorite things I have made in my IP to date! Hi – I’ve never cooked with Tamarind before, is the taste similar to lime juice if I were to substitute it as you mentioned or will the curry taste “different” without tamarind? also would tamarind sauce be ok too or is paste better? Yolie, tamarind is very different from lime. It has a sour sweet flavor, but you could substitute lime if you can’t get your hands on tamarind. We loved this recipe, especially my kid who doesn’t do spicy food. I forgot to get tamarind paste, so substituted lime juice instead. (Will try with tamarind next time!) I had bigger chunks of beef (frozen and cut previously), so I increased cooking time to 25 minutes. It was perfect. Thanks!! Massaman Curry is my most favorite thing to get from Thai restaurants, and I was so excited to try this! While it was cooking, my whole kitchen smelled EXACTLY like it does at the restaurant! I was so excited to try it, but when we actually started eating it, the flavors were extremely muted. My husband and I could barely taste any of the delicious flavor we smelled. Did I do something wrong? Molly, I’m sorry the recipe didn’t meet your expectations. Did you use the Maesri or Mae Ploy brand paste? If so, then I think your palate requires about 25 to 50% more spice paste. Pressure cooking does mute spices (in my experience). I like the spice level as is, but I would be open to increasing the quantity. Thanks for your feedback.